A pretty major thunderstorm was brewing behind the mountain that day. 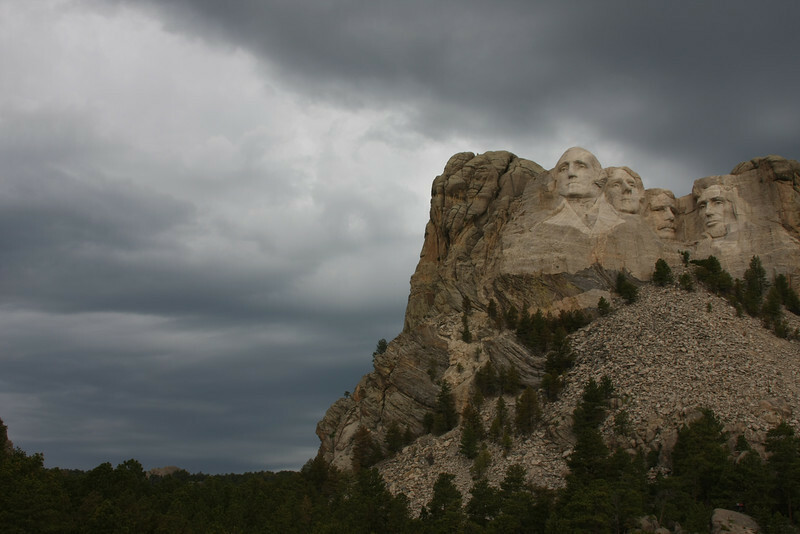 (July 4th, 2013) The park service was requesting that folks leave the lower President's trail because of the threat of lightning. It got pretty windy and rainy and there was some lightning, so it was an exciting morning at the memorial.